Richard T. Moore, 68, of Kincheloe formerly of Belding, unexpectedly passed away Saturday, November 17, 2018 at home. Richard was born on August 18, 1950 in Belding, the son of Lyle J. and Doris M. (Kinney) Moore. Richard attended Belding Area Schools and later served his country in the US Army from 1968-1973. He moved to the Kincheloe area in 1989, working at the State Prison and retiring in 1999. He was a past member of the Belding American Legion and VFW. 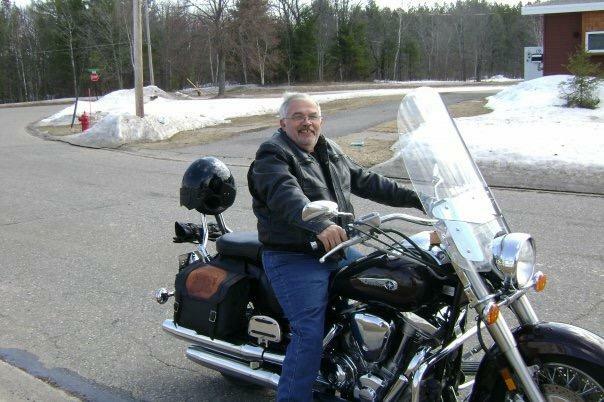 Richard was an avid Green Bay Packers fan, had a big love of family, enjoyed spending time with them, and was known for his colorful sayings and his choice of foods. He will be greatly missed by his family and many friends. Richard is loved and survived by his daughters; Veronica (Bill) Haring of Palo, Melissa Moore of Brimley, Melinda (Josh) Furtaw of Greenville, Amanda (Larry) LaPonsie of Kincheloe, his grandchildren; Kaelan, Chloe, Mila, Bobby, Blake, Brett, Brendan, Layla, Larry, Caleb, Landon, his siblings; Delores (Ken) Petersen of Grand Rapids, Shirley Brooks of Orleans, Robert (Vera) Moore of Boston, Sally (Verl) Collins of Big Rapids, Margaret (Charlie) Chewoning of Hastings, Kathy Fosburg of Ionia, Ricky (Linda) Moore of Greenville, many nieces and nephews. He was preceded in death by his parents, two sisters; Barbara and Sandy, three brothers; David, Fred and Donald. Funeral services will be 2:00 PM Friday, November 23, 2018 at Johnson Feuerstein Funeral Home, Belding with Pastor Ken Harger officiating. Committal prayers will follow in River Ridge Cemetery, Belding with full military honors given by the Joint Honor Guard of the Belding American Legion and VFW. Visitation will be one hour before the service. Memorial contributions may be given to the Alzheimer’s Association.